Decisions you make now are vital. You probably feel angry, betrayed and are in disbelief that someone you trusted has defrauded you. You might want to report the matter to police because you think it is your best chance to recover your losses. You should know that in most cases, bringing a civil claim is by far the quickest and most effective way to get your money back. So before you race off to the police, get legal advice. In most cases a civil fraud claim can be commenced in Court within a few days of you engaging a lawyer. Civil action can include obtaining an injunction freezing the fraudsters assets (Freezing Orders), an injunction requiring the fraudster and others to allow your legal team to enter premises and seize items (Search Orders) and an injunction preventing the fraudster from leaving Australia. These injunctions are usually made by the Court in the absence of the fraudster before they even know you have started a case against them. Civil cases are easier to prove than criminal cases (which must be proved beyond reasonable doubt). In most civil cases, particularly where Freezing Orders are obtained, a favourable settlement can be achieved early on, avoiding the costs of having a Court hearing. The focus of police is to charge offenders and secure convictions. It is not their job to get your money back. Once a complaint is made to police it typically takes many months before the matter is investigated. Police are well trained to investigate most crimes, but fraud cases can involve complex commercial structures such as trusts and the movement of money through sophisticated financial arrangements to deliberately hide proceeds of fraud. Fraud investigations typically require a thorough understanding of legal and financial affairs which are beyond the capabilities of police. This is not a criticism of police. It is just how it is. 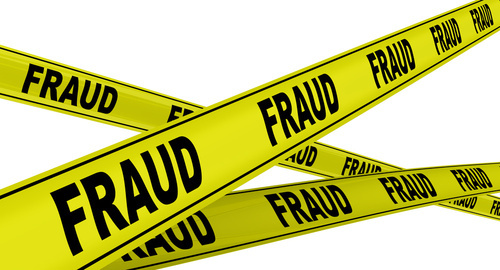 If you are the victim of fraud do not confront the fraudster or let them know they are under suspicion. You do not have to report the matter to police. Seek urgent legal advice immediately before you do anything. Only when you know all your options can you make sensible decision about how best to proceed.